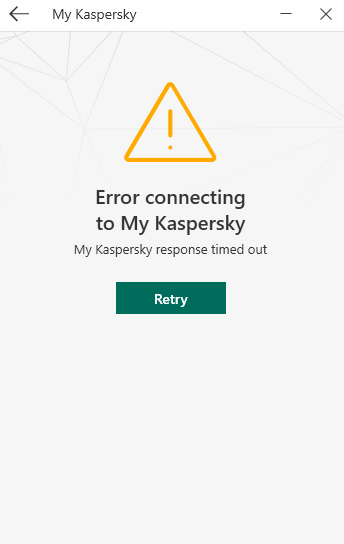 Bug reports connected to Kaspersky Secure Connection are received in this topic. 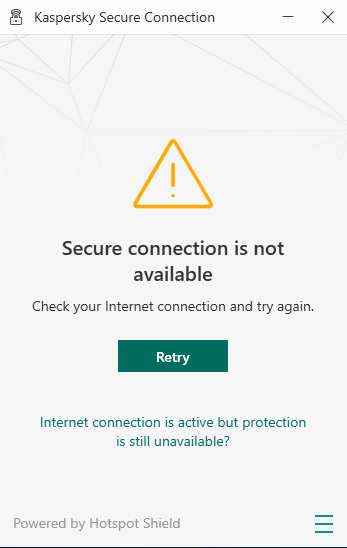 Kaspersky Secure Connection (KSeC or KSDE) — desktop application which helps to provide secure connection over insecure networks f.e. when you are using public Wi-Fi in cafe or airport. Kaspersky VPN service is used for it. On installation of Kaspersky Secure Connection Beta, You agree to send system information to Google Analytics. This information doesn't include any personal data. All information is send to Google Analytics via protected channel. Access to this information is regulated by Google Analytics service agreement. Important is that Traces are enabled or it wont work! When i hand a fuzzed dll file to ksdeui.exe with Peach Fuzzer ,with the start a process option, Peach logs an Illegal Instruction Violation starting at ksdeuimain!Execute+0x0000000000039bed. KSec isnt effected because an extra process is started. It works with any fuzzed dll and some other filetypes. I attached the peach logs. #522 No connection via My Kaspersky for remove limitation. Click Sing in to My Kaspersky. 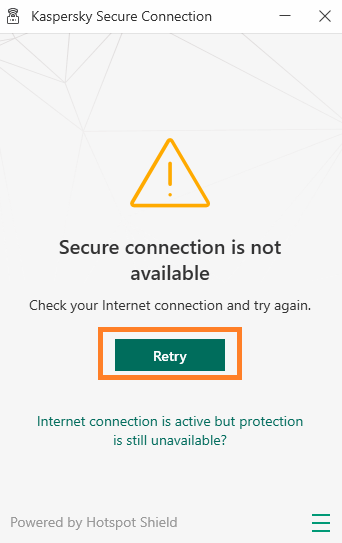 No connection via My Kaspersky. Connection via My Kaspersky successfully. After click on retry actions are not. After click on retry there is a retrying connection.